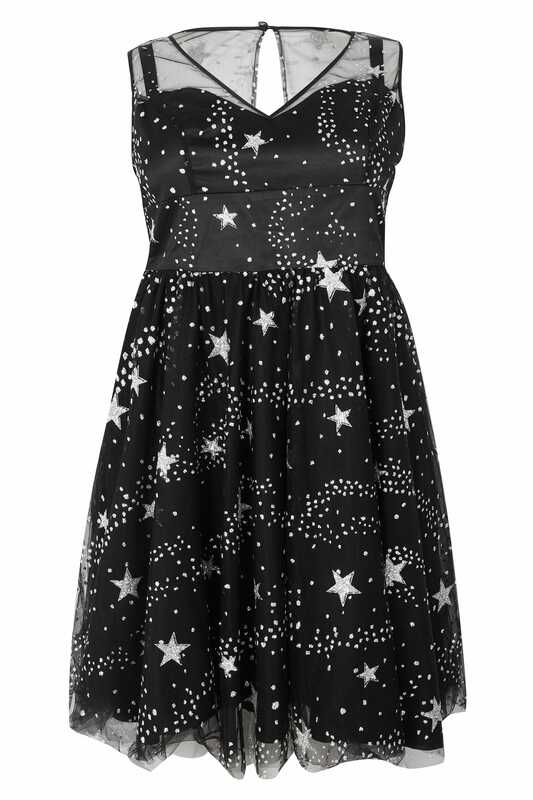 Add a touch of sparkle to your evening wardrobe with this glittery cosmic dress from HELL BUNNY. In a flattering skater style, it features a v-cut neckline and adjustable straps for an easy fit. Partner with heels and statement earrings to complete the look. 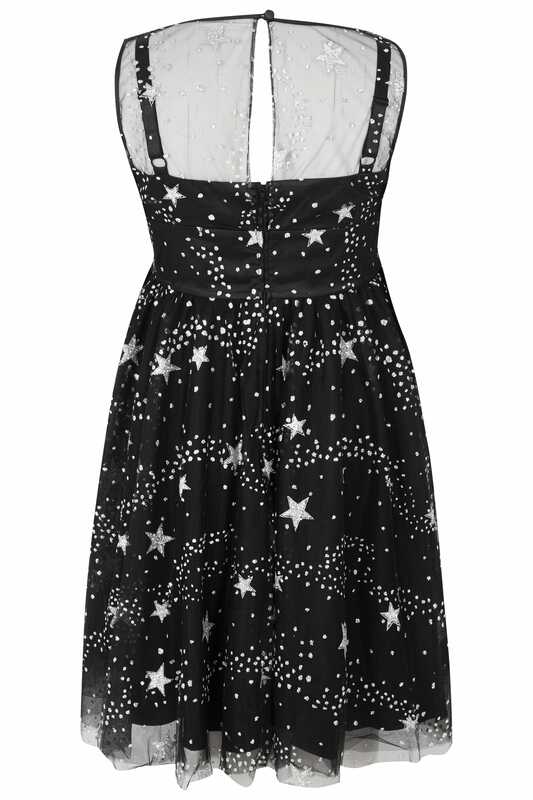 Get behind the glitter trend this summer with this sparkly skater dress.